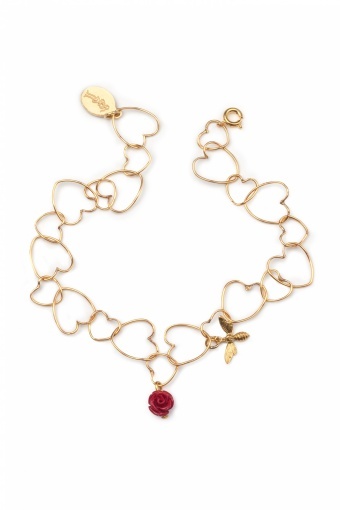 Handmade Chained Hearts & Charms bracelet gold from Petra Reijrink, especially made for TopVintage! 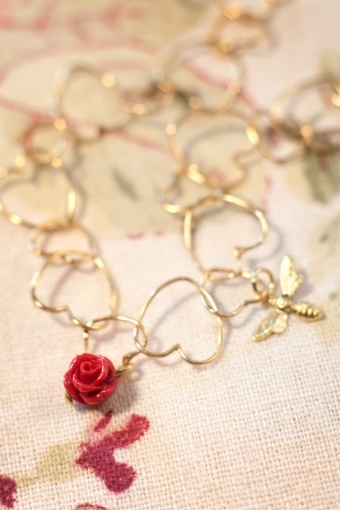 Delicate vintage inspired gold-plated bracelet (nickelfree) with a cute carved small bamboo coral rose in coral red and a sweet litlle bee. This bracelet is a chain of open hearts which allows you to adjust the height very easily.